If you’re looking for a new car for the family, you’ll need something that has enough space for everyone, has great fuel economy, and, of course, is available for a good price. Their competitive pricing and all-in-one mentality makes them the ideal option families searching for a single vehicle to last them the long-run. Crossover vehicles are a relatively new product range popularised in recent years by cars like the Ford EcoSport and Audi Q3. What makes crossovers unique is that they take features from sport utility vehicles (SUVs) as well as passenger vehicles, station wagons, and even hatchbacks. The result is specialist model that takes the best aspects from all of their competing vehicle categories. This strategy has seen them cut into sales that previously belonged to the SUV market, especially across the United States. Comfortable to drive: The design of the crossover means you benefit from the high centre of gravity and high ground-clearance typically found in an SUV. The high seating allows you to sit in a comfortable, upright seating position, which improves outward visibility. While SUVs feature substantial suspensions designed for for off-road driving, on the road, these can often feel uncomfortable and more difficult to drive. Though many crossovers have the functionality for light of-road activities, they’re typically designed for road use. More storage capacity: Finally, what many families look for in a car is space, whether it’s to handle the weekly grocery shop or to allow the neighbours kid to hop in on the morning school run. The extra space allowed in SUVs made them very popular for this, but you can find the same kind of results with a crossover. The stylish five-door Audi Q3, available here, has an impressive 16.7 ft³ cargo volume, or 48.2 ft³ with seats down. Better fuel efficiency: Because SUVs are typically built to fit onto truck-based platforms, they're much heavier than crossover vehicles that use a car platform. This extra weight can make SUVs tough to stop, and results in them having much less efficient fuel economy ratings than similar crossover vehicles. The Honda CR-V is the best selling in it’s class range over the last several years, and it’s two-wheel drive model gets a combined EPA rating of 24 miles per gallon. 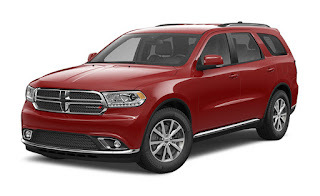 Crossover vehicles represent the best choice for most families. For getting the best deal on your new car, take a look at our money saving tips for the frugal driver.